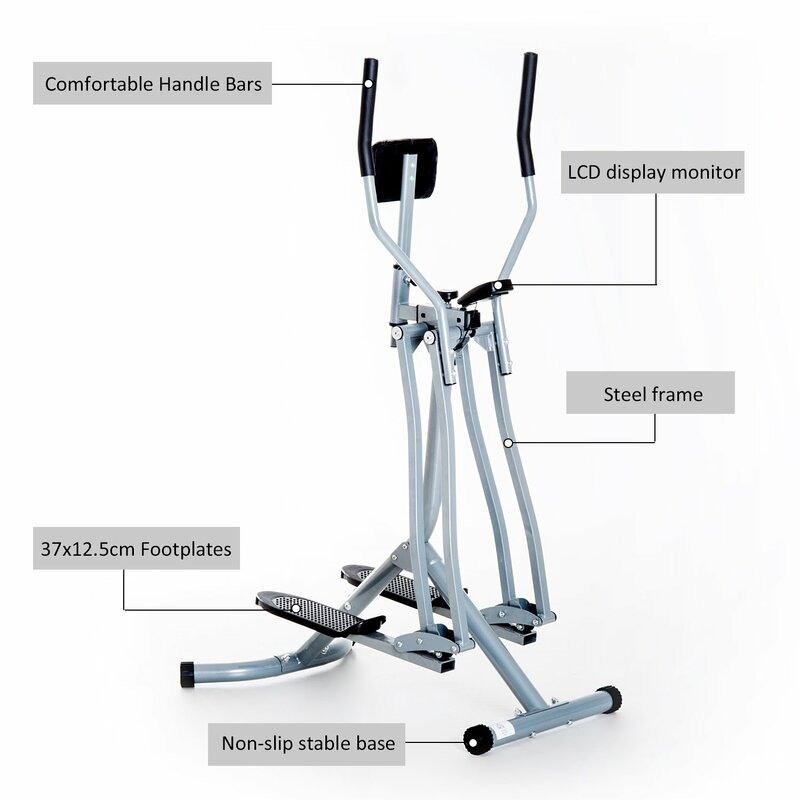 The HOMCOM Fitness Air Walker can give you an excellent cardiovascular workout without making a bad impact on knees, ankles, and joints. Dual action arms will provide an upper body workout at the same time. 180 degrees free range of motion allows you to stretch your leg muscles, work your hamstrings and increasing flexibility, making it even more effective than most typical trainers. The included monitor helps to count time, exercise and calories burnt giving you a better analysis of the activity. Assembly Required. • The air walker targets muscles at your waist, buttocks and legs. Maintain an upright posture to increase stability and endurance. • You can stimulate a slow walk and walk up to a full run with complete freedom. Ergonomic moving handlebars let you tone and condition your entire body.